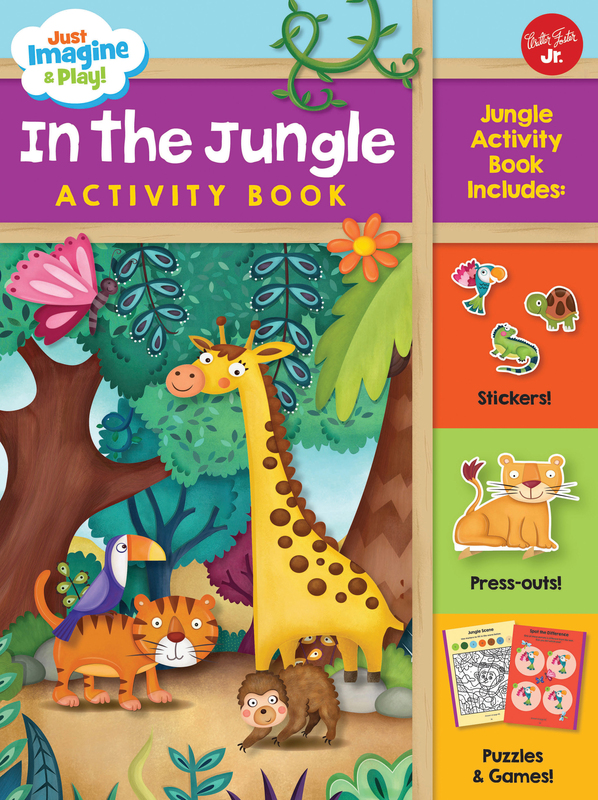 Inside this book, you'll discover a fold-out jungle play scene, reusable stickers, and press-out, stand-up characters to customise your own roaring jungle! Wrestle with a rhinoceros, play tag with a tiger, or get mischievous with a monkey as you explore the mysterious jungle. Discover puzzles, games, and fun facts about this wild world in this 48-page activity book, filled with mazes, quizzes, drawing and coloring, and more. Its the perfect way to experience the wonder of a jungle exploration, without needing a mosquito net! Constanza Basaluzzo works in digital format and since 2003, has published work in several books, stationary cards, and children’s magazines in Argentina. Series: Just Imagine & Play!